Welcome back. Really lovely post. Like you,I am a sporadic blogger but always come back. 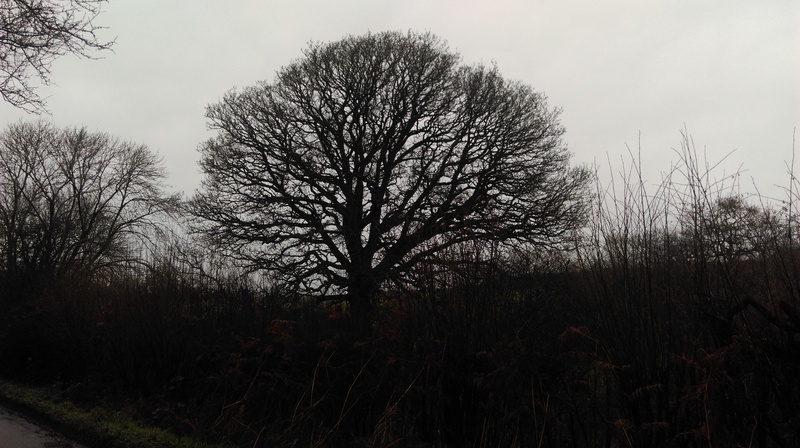 Love your photos of the winter-bare oak tree and good luck with the painting. This is a great time of year for exploring the way forward I think. I always find when I’m not writing things, there’s usually a reason that is as important and noteworthy as when I am. Also, predictability is totally overrated. That’s very true, I like the idea that we need to feed our creativity or we’ll dry up and I suppose that’s what happens, we have to go off and nourish ourselves – and that can come in many forms. Thanks Kat, to be honest I feel enormously grateful to have had this wake-up call, it puts everything else into perspective. The girls are really wonderful, they practically ‘did’ Christmas for me which relieved a lot of additional stress. Love what you’ve been doing with the shibori! I’ve missed you and hoped you weren’t too down for any reason. So glad you’re back. 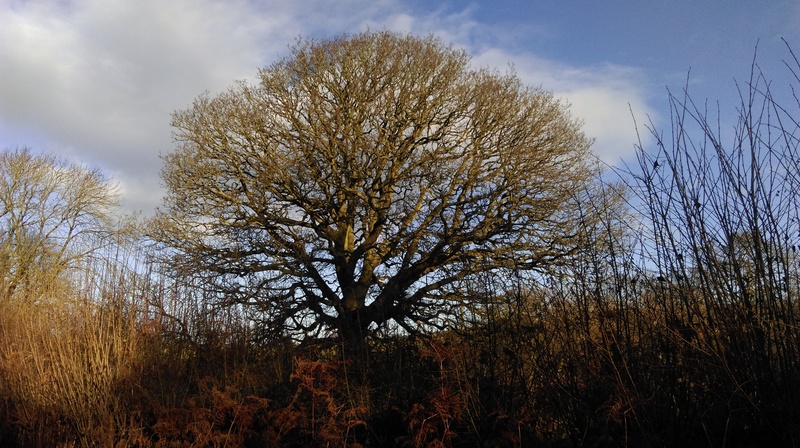 Love your oak. We had a huge old beauty but it finally fell down, now nourishing the earth. Yours is a lovely sight, grey skies and all. Thank you, much appreciated. 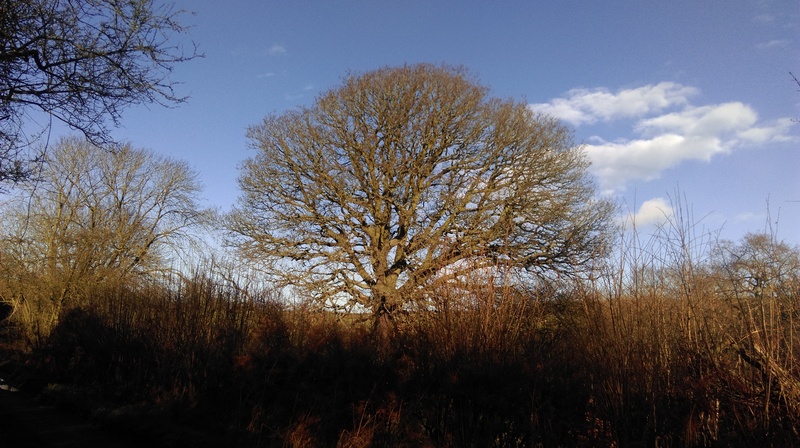 I’ve been taking a picture of that oak almost every day for nearly three years now and what I love most is seeing how the quality of light each day totally changes the way it looks – it’s become more a measure of the weather than the seasonal changes of the oak! I talk to it now – am I bonkers! 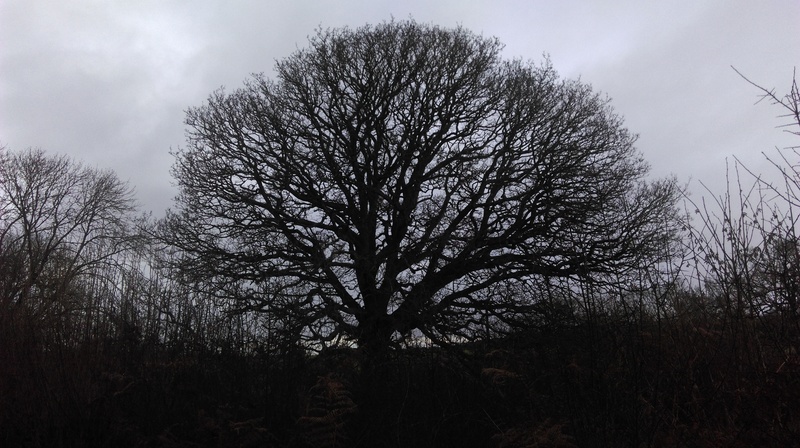 Your photos sum up this winter with its grey days. How I long for some cold days and blue skies instead of this relentness gloom. Life is for living, not blogging. I blog and read others when life is rolling along on an even keel and seem to take a break at the least sign of turbulence (good or bad). I totally agree with you, life is precious and we should use our time for important things. Oh so grey! I can manage a few days, but after that it becomes a conscious effort to stay positive and the last couple of months have been very testing indeed. But you’re right of course, just need to focus on the important things. Happy New Year. Good to have you back Anny. I too may be bonkers having formed relationships with several trees throughout my life, albeit silently. Let’s hope for less grey gloom soon; there was a gorgeous pink and gold sunrise here this morning; any break in the clouds gratefully received! Yes, some sunshine here earlier too, although the clouds are back now! Glad I’m not alone on the tree front. Best wishes for 2016. 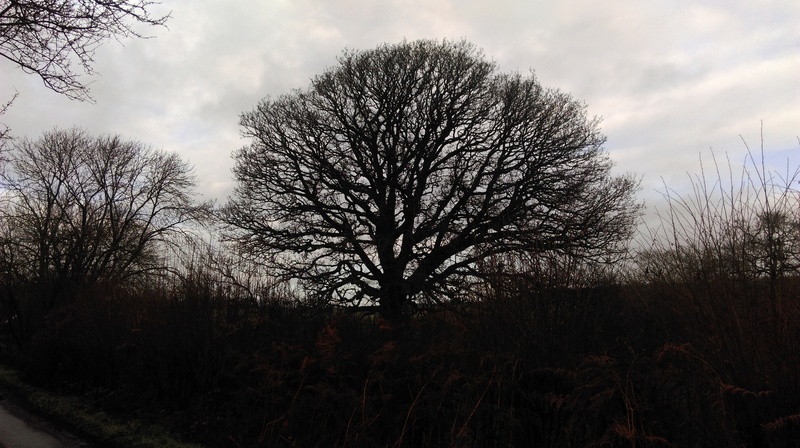 What a fantastic looking tree, your photographs are lovely. All the very best for 2016, I’m looking forward to seeing what you post this year! I think you were not the only one to find last year accelerating at the end. We’re got through it and can now start looking for balance – yes, a good word for the year. Do you mind if I borrow it?! Please do, feel free! Hope 2016 is a very good year for you x. So sorry for your loss Anny, such events do have a way of drawing you into yourself and re-evaluating your priorities. I agree with the previously expressed sentiment that life is for living and we really do have to make the most of it and please ourselves more. Best wishes for a Happy, Healthy and Arty 2016. Thanks Theresa, wishing you all the best for 2016 too! I could almost have written this post myself, I’ve been AWOL too, as you know. And like you I miss the blogging community when I’m away from it. Here’s to both of us sorting things out. Welcome back, Anny. No need to apologise – at least not to me, as I’ve turned into a rather dilatory blogger and commenter in recent months. 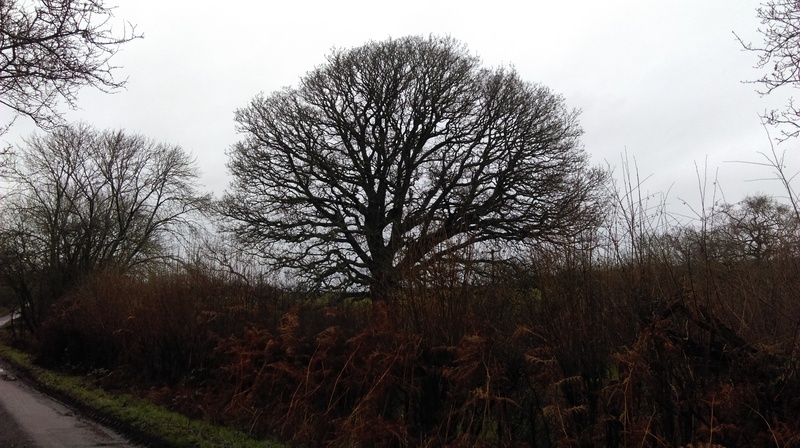 Your images of the oak tree are lovely and I look forward to what you will offer us this year. Thank you x. Yes, so many people seem to have felt like us. I hope 2016 will have us fully energised and ready to go!